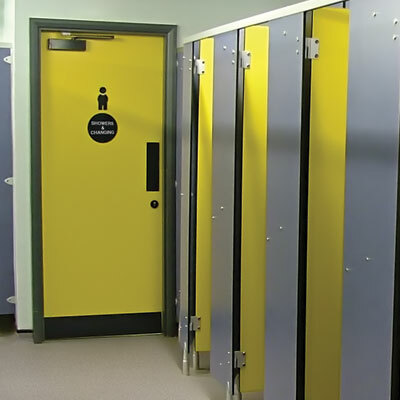 ASFAB regularly supply 44mm chipboard laminated internal doors for an International Supermarket Chain. Both half and 1 hour fire regulation doors can be supplied laminated, cut to size or edged in timber. Square edged, post formed, bullnosed or built up – the possibilities are endless. We regularly supply schools, hospitals and commercial premises with purpose made work surfaces and counters. We can offer standard, moisture and flame retardant cores in various thicknesses and as well laminate in a variety of finishes, i.e. gloss, matt or textured. 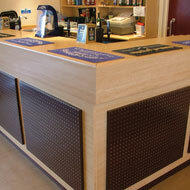 Integral upstands and downstands are also available to your own design. 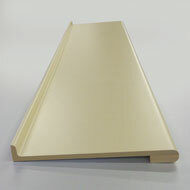 We have crafted various components faced in laminate, to all our clients’ specification. Bonded boards, window sills, make-up counters, shelving, table tops, pool table cushions and numerous furniture components.